Dear Parents, I am a caring, loving and responsible and passionate person who is looking to get a babysitting or nanny job. I have Diploma in Early Childhood Education and Care on top on my Degree in Accounting. 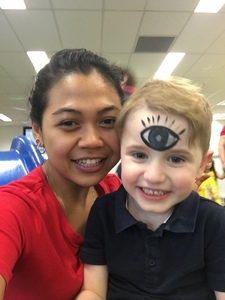 At the moment, I am a casual staff in reputable childcare centre in Pyrmont. I have experience babysitting for multiple families before and will provide a reference on request. I have First Aid Certificate, NSW Working With Children Check and Police Check. I can help in meal preparation for the kids and providing fun learning activities for their growth development. I am a very healthy, active and a non-smoker. Please do not hesitate to contact me at [email protected] for further queries. I am looking forward to being your babysitter/nanny and spending time with your children. I can help in meal preparation for the kids and providing fun learning activities for their growth development. I am a very healthy, active and a non-smoker. Please do not hesitate to contact me at [email protected] for further queries. I am looking forward to being your babysitter/nanny and spending time with your children. I can help in meal preparation for the kids and providing fun learning activities for their growth development. I am a very healthy, active and a non-smoker. Please do not hesitate to contact me at [email protected] for further queries. I am looking forward to being your babysitter/nanny and spending time with your children.